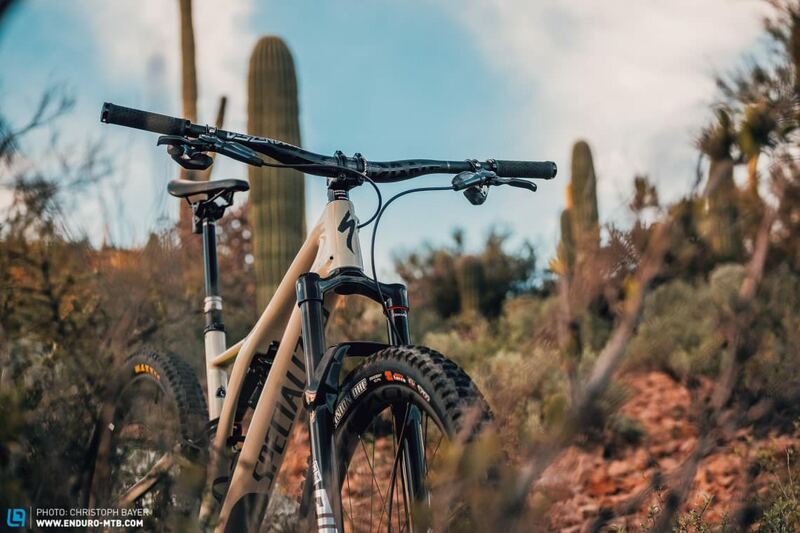 With their new RockShox Reverb AXS, RockShox is making a strong claim for the crown of the dropper seatpost market! The current Reverb has long been the king of OEM but with ever-increasing competition, it was time for the American brand to step up their game. 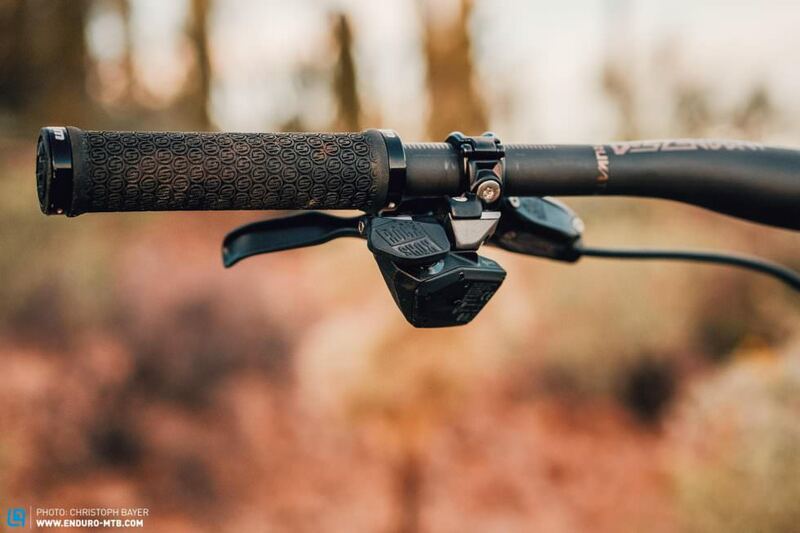 The wireless, electronic function is just one the highlights of the completely redesigned dropper post. 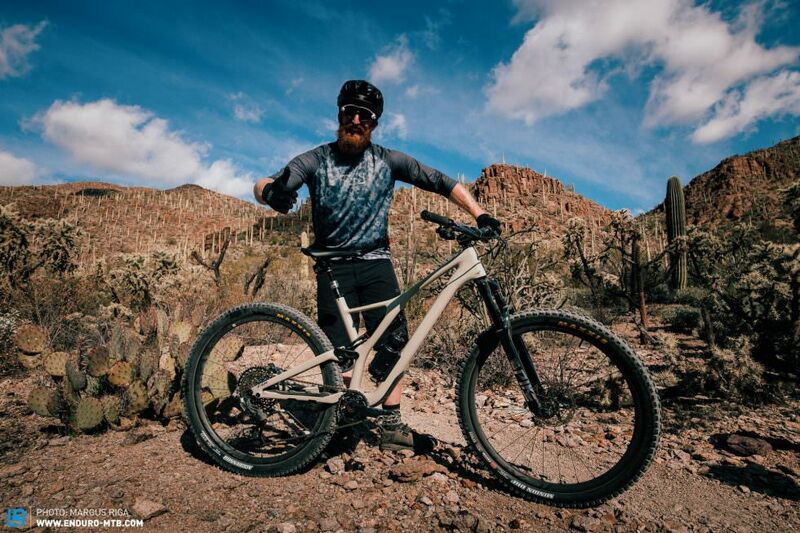 Why should you bother installing electronic components on your bike? Anyone who’s experienced a mental meltdown resulting from trying to thread the cable of a regular dropper post through a small hole in the frame will know why. 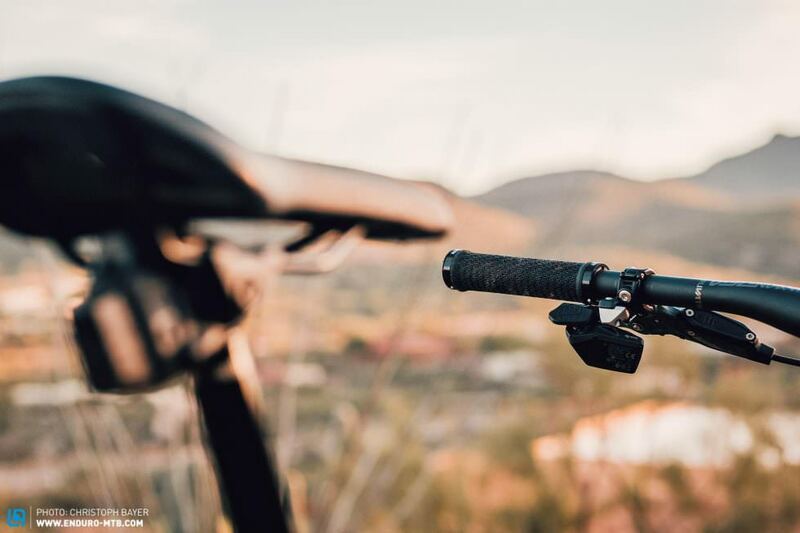 The installation of the RockShox Reverb ASX is an absolute breeze: mount the control lever, insert the seat post into the frame and attach the saddle. Pair the two units and you’re ready to go! But ease of installation is only one of the advantages. The super fast and precise operation is an even bigger one. The wireless remote gets attached to the Matchmaker, as usual. A large paddle replaces the previous lever. 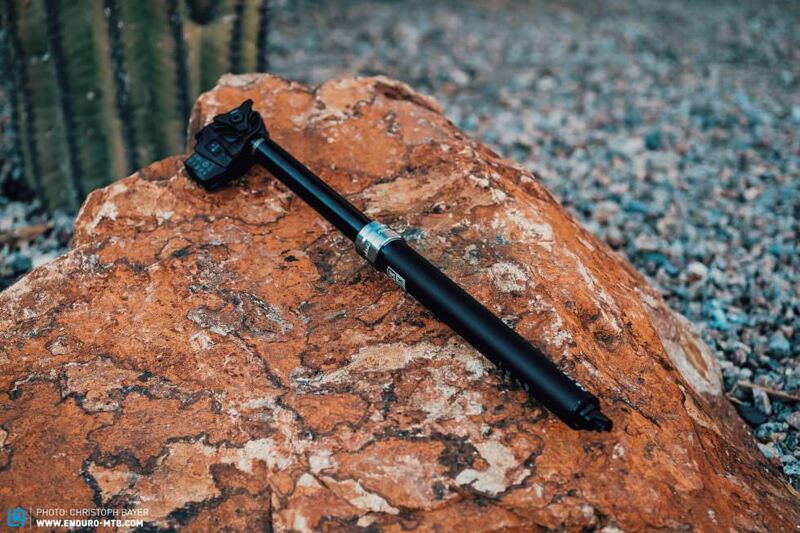 The RockShox Reverb AXS dropper can be inserted into the frame without having to feed through a cable. This makes installation a lot easier and it’s also super convenient for air travel etc. SRAM AXS – what is it? AXS is a new standard for data transmission specially developed by SRAM. It has similarities to the technology used in the remote key of a car but requires less power and works without any noticeable delay. When you press the button on the remote, the valve on the dropper opens and remains open only as long as you keep the button pressed. As soon as you let go, the valve closes and the dropper stays in that position. 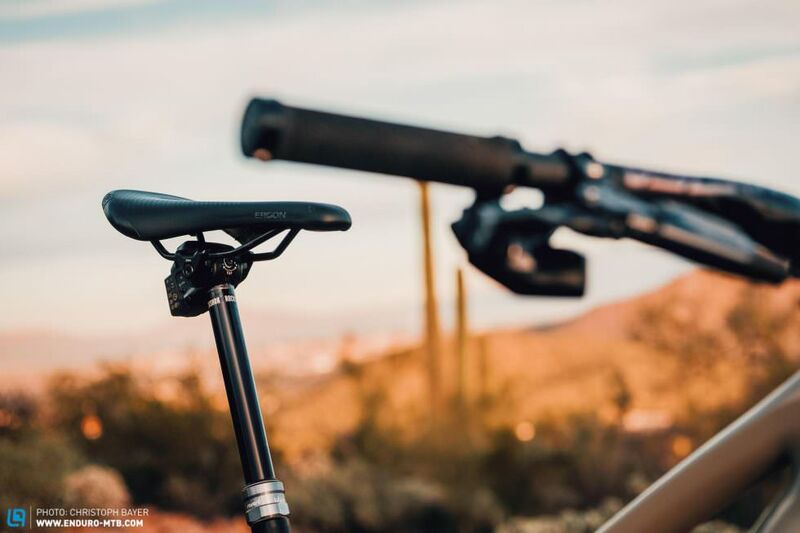 The handlebar remote uses a 2032 button cell battery with an expected service life of two years. The rechargeable battery on the seat post should last about 40 hours, depending on how often you use it. 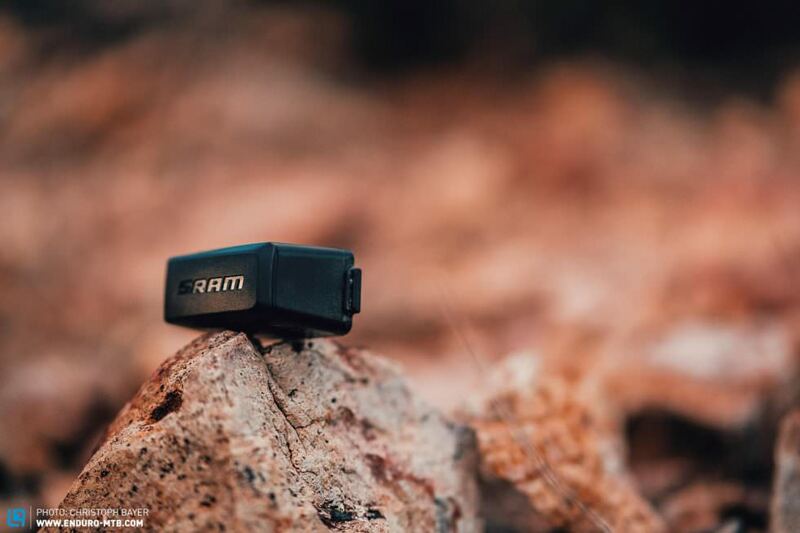 AXS is designed in such a way that all SRAM AXS components can communicate with each other, so you could even control the Reverb with one of SRAMs road bike shifters. On top of that, a separate app allows you to install firmware updates, to configure the assigned function of the buttons or to check the battery level. You can do the latter directly on the dropper too. The LED on the dropper post provides information on the battery level. Green light = full or over 50%, red = less than 50%, flashing red = charge me! 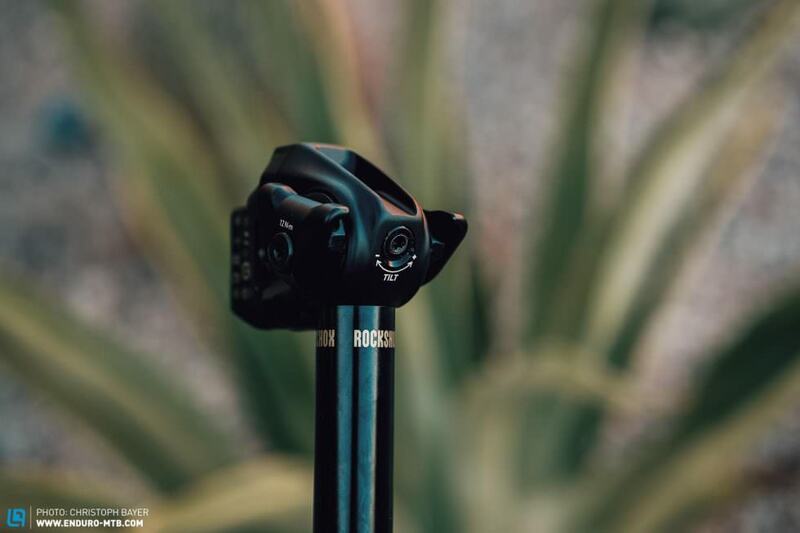 The basic principle of the proven RockShox Reverb is the same. The seat post still has a hydraulic interior in which the oil is pressurised via an IFP (Internal Floating Piston). However, the inner workings have been reworked and the friction reduced, requiring less force to drop the saddle. Being wireless there’s no need for a cable exiting the bottom of the post and RockShox has the space to install their so-called Vent-Valve. 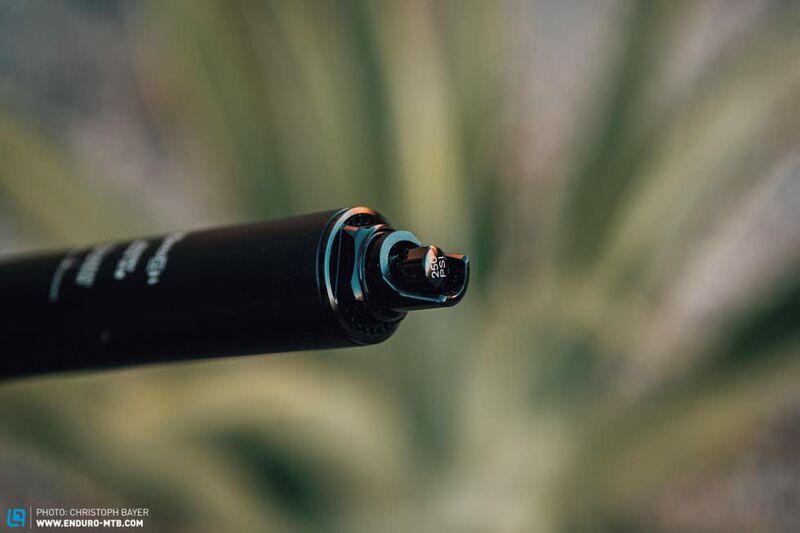 This allows you to easily purge the dropper should air get trapped inside with the oil, resulting in a spongy feeling dropper. The process can easily be carried out in about 30 seconds, even if you have zero technical experience or know-how. The seat clamp has also been completely redesigned and now enables a much faster and easier adjustment of the saddle. But, of course, the biggest innovation is the absence of a cable to actuate the dropper. 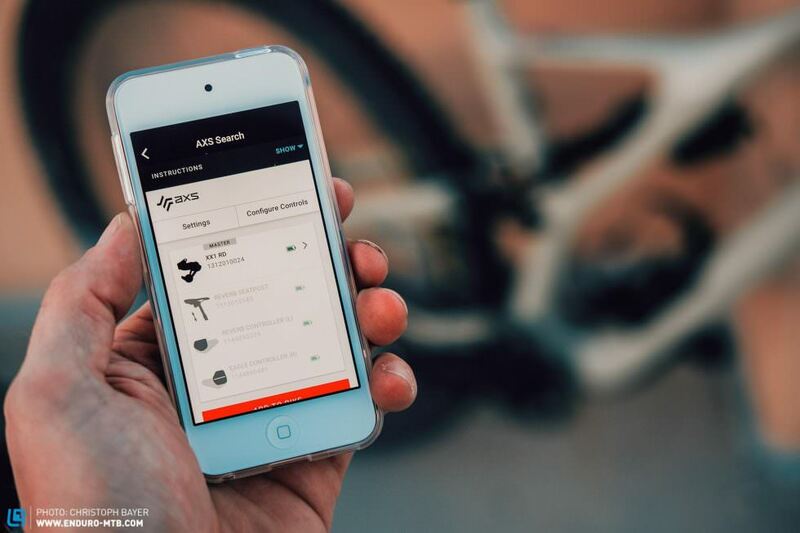 The command is transmitted wirelessly from the handlebar using SRAM’s new AXS technology. One bolt clamps the saddle rails, and with the other, you can adjust the tilt of the saddle. Both are easy to reach. Finally: with the new Vent-Valve, you can vent the dropper without having to disassemble it. Simply turn the dropper post upside down, press the button and compress it. 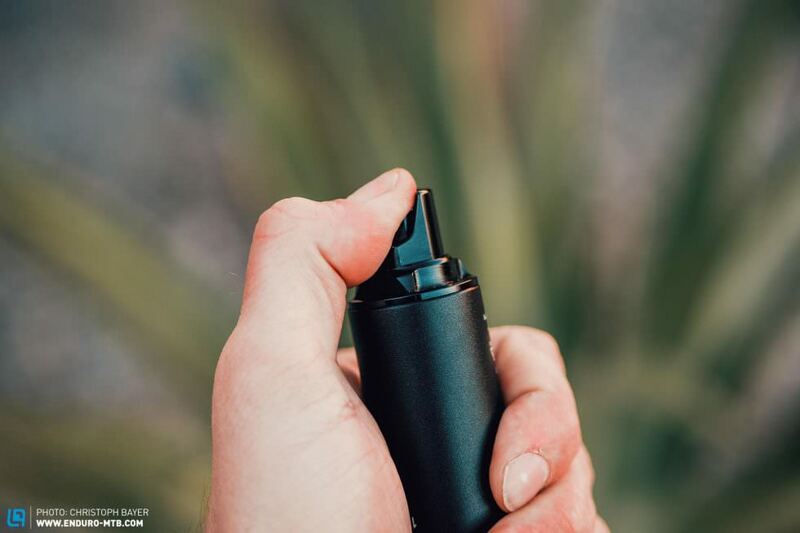 The process is complete in less than 30 seconds and unlike other dropper posts on the market with a venting feature, you’ll rarely have to use it. Get on and go! 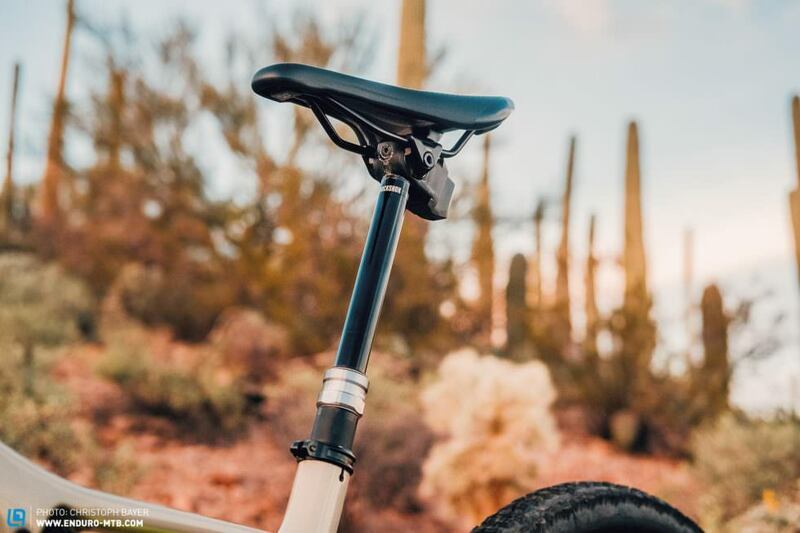 As with a classic mechanical dropper post, you don’t have to do anything before heading off. A motion sensor in the dropper detects when the bike is moving and automatically boots up the system. Switching on or off isn’t necessary. The remote control feels super ergonomic under the left brake lever and can be adjusted with SRAMs Matchmaker to suit your preferences exactly. 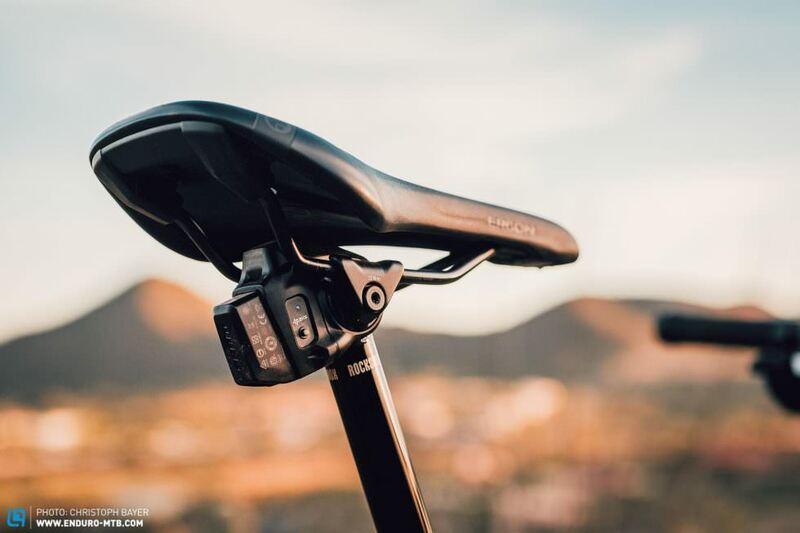 With the help of the new bolt for setting the tilt, you’ll have the saddle adjusted in no time – the bolt is easily accessible with an Allen key. 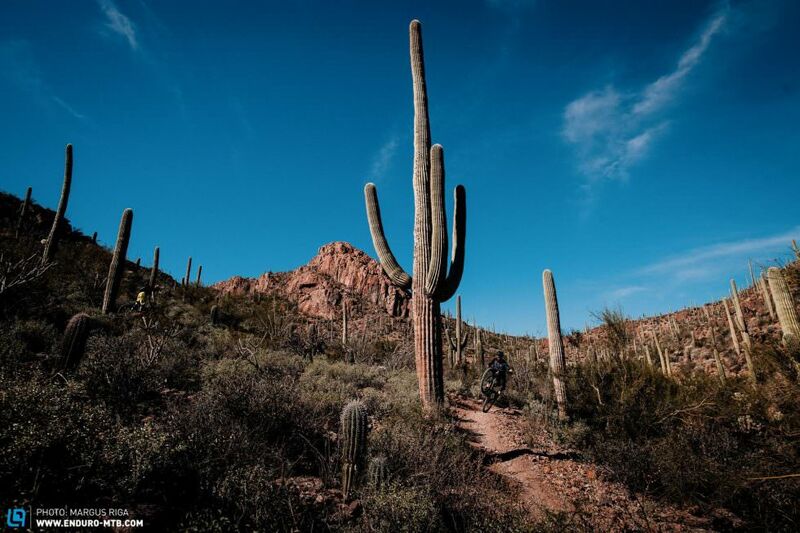 Constant ups and downs – the trails in Arizona were perfect for testing the dropper! Getting used to the position of the control or the way it operates took no time at all. The principle is the same as with all dropper posts: if you push the button, the valve opens, you let go, it closes. However, the actuation is so fast that you can stop the saddle in the middle position much more precisely than with the current post. 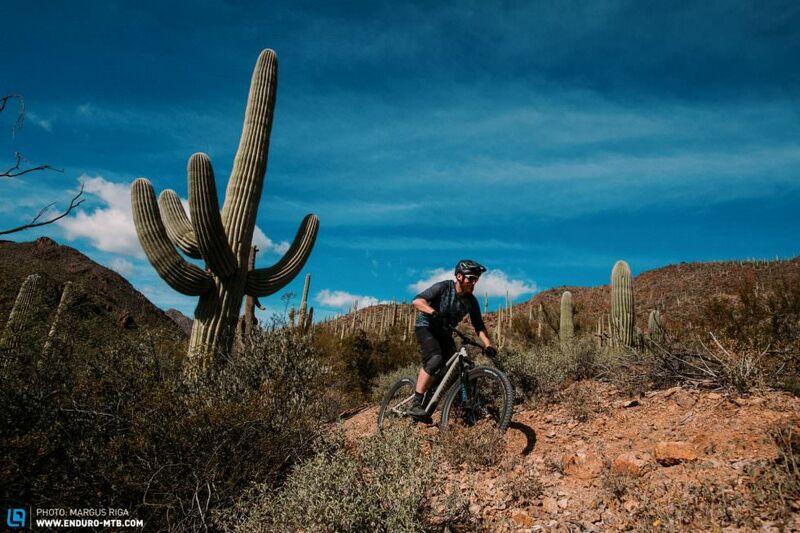 On the technical trails in Arizona with their constant ups and downs, this precision was clearly noticeable. We also loved how quickly the dropper pops up. You can no longer adjust the extension speed as with the predecessor, but it wasn’t a feature we missed. Particularly noteworthy: the new Reverb AXS lets you stop the saddle in the middle position without fail. 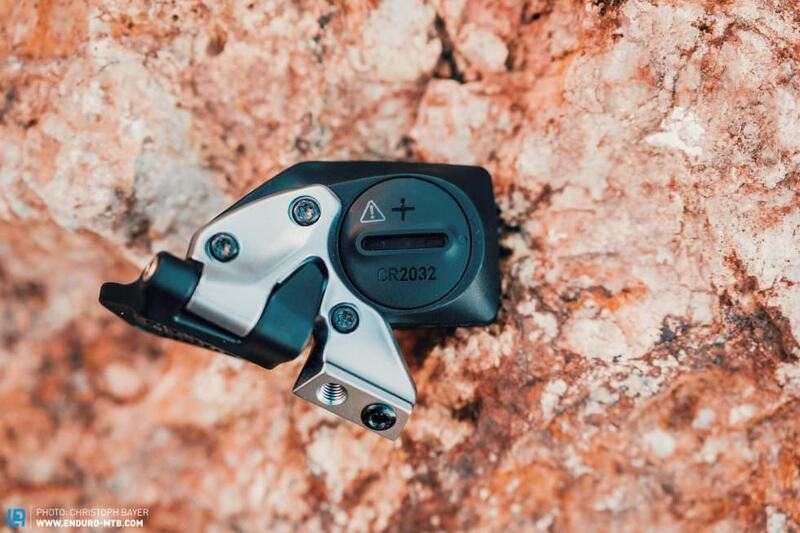 We particularly enjoyed this feature on the more technical climbs! The saddle itself doesn’t have any play on the new clamp, but the slight lateral play of the previous Reverb is the same on the Reverb AXS. We didn’t notice a reduction in the friction when lowering the saddle, but we didn’t notice anything negative either. The speed of the valve closure is audible with a slight ‘clack’ when stopping the saddle in the middle position, a sound you would only hear at the end of mechanical droppers travel. The fact that your thumb no longer has to push a lever should save energy, of course, but all we can say is that it just feels really nice from the start. 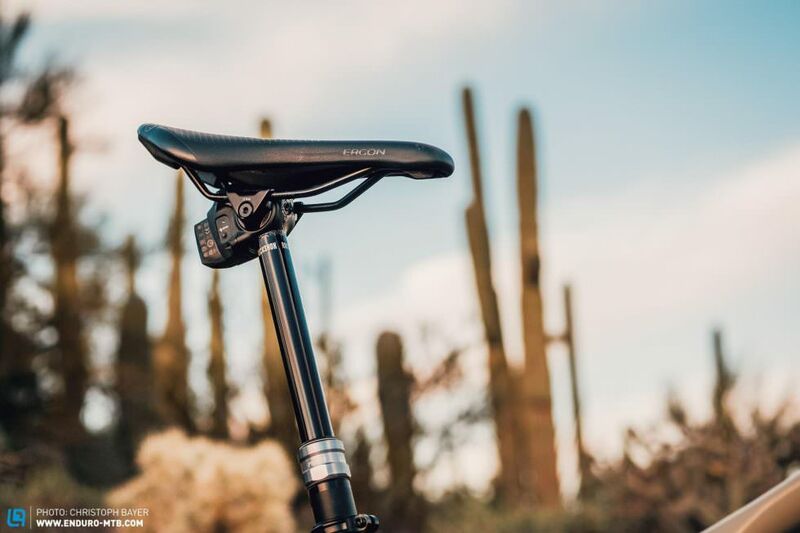 The haptic feedback of the control is very defined and is perfectly in line with the high-quality look and feel of the dropper post. In our opinion, the RockShox Reverb AXS sets the new benchmark for dropper seat posts. It not only impressed us with its super fast and precise function but with a lot of smart features besides. The Vent-Valve guarantees uninterrupted fun and the new seat clamp facilitates easy positioning of the saddle. Last but not least, AXS technology offers plenty of scope for customisation and lays the foundation for a completely new bike concept. Our only point of criticism: with its price of € 800 this dropper post will remain a dream for most riders. 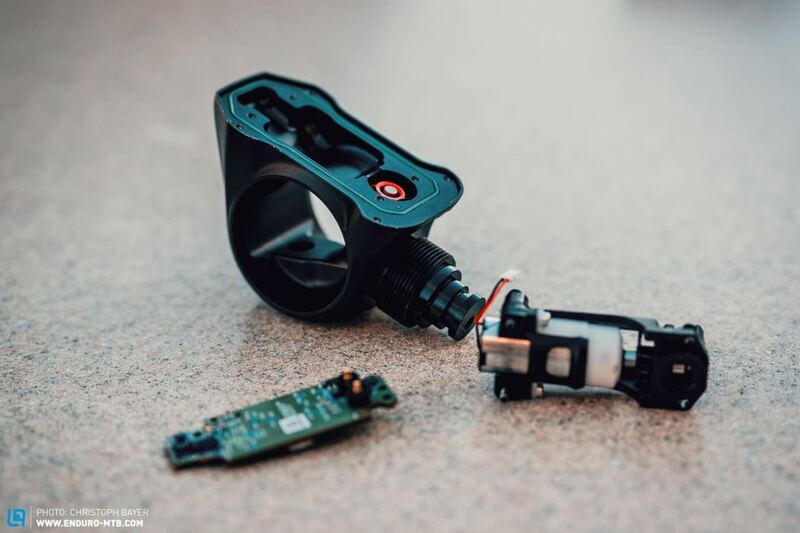 After testing the new Reverb AXS and the SRAM XX1 Eagle AXS we found 13 good reasons why we can’t wait to stick these gems of wireless innovation onto our own bikes. You find them in a separate article.